In recent weeks, Democrats have been trying to get Donald Trump’s Attorney General nominee William Barr to publicly commit to making Special Counsel Robert Mueller’s final report public. This has led the media to seize on the fear mongering narrative about Trump running the report through a shredder and somehow magically getting away with it. All along, Palmer Report has pointed out that this is a false narrative being pushed solely for ratings, for three reasons. First there is literally zero chance that Donald Trump could try to keep the report secret, in the face of massive public pressure to release it; such a scenario would gobble him up. Second, the Democrats in Congress have already publicly discussed simply subpoenaing Mueller to come in and read the report aloud in order to get it out there. 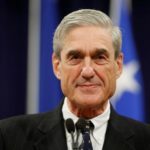 Third, Mueller is – obviously – not going to simply file a report and go home; his endgame will undoubtedly consist of big high-stakes moves. Sure enough, during the Barr confirmation hearings today, Republican Senator John Kennedy announced his support for existing bipartisan legislation to force the Mueller report to be public. Whether or not this bill gets voted on or passed is irrelevant; Trump could veto it anyway. The point is that a growing number of Republicans in Congress are publicly staking themselves to it, because they don’t want Trump potentially harming their careers by trying to suppress the report, which would create massive nationwide backlash against Trump’s Republican Party. New polling says that nearly ninety percent of Americans want the Mueller report to be public. Donald Trump may be oblivious to this kind of thing, but the Republicans in Congress aren’t. They know Trump is going down, and they’re positioning themselves to try to survive his downfall. In any case, there was always zero chance that Robert Mueller’s report was somehow going to end up buried in a drawer. Literally zero. Nothing works that way, no matter how much time the media spends hyping such a scenario in order to get us to remain tuned in. And again, Mueller isn’t going to simply hand in a book report about Trump’s crimes and call it a day. It’s time for everyone to move on from this fictional narrative. We have far more real Trump-related troubles to worry about.